Route planning software manages vehicle routes and schedules to increase driver performance and improve distribution operations. This type of software is used to define, manage, and optimize delivery routes for multiple geographical regions and types of transportation. Route planning software is used by schedulers and drivers to exchange information on what needs to be delivered and where, as well as to track delivery performance indicators. Route planning systems are implemented in shipping and transportation departments of companies, but may also be used for field service. Route planning tools are delivered as a standalone solutions, but many supply chain suites and transportation management software tools also include similar features. When provided separately, route planning software integrates with shipping software and field service management software. Route Planning reviews by real, verified users. Find unbiased ratings on user satisfaction, features, and price based on the most reviews available anywhere. Innovative fleet tracking software from a trusted leader in the telematics industry. More than just dots on a map, you can use advanced fleet tracking to seamlessly monitor and manage your entire mobile workforce. OptimoRoute helps delivery and field service businesses plan optimal routes and schedules. We help businesses improve their bottom line through dramatic efficiency improvements: increasing productivity and customer satisfaction, cutting operating costs and overtime, increasing earnings by getting more deliveries and work orders done with existing staff. Our customers come from diverse areas such as Logistics, Retail and Distribution, Food Delivery, Installation and Maintenance Services, Healthcare, Pest Control, Waste Collection, startups offering On-Demand Services and many more. 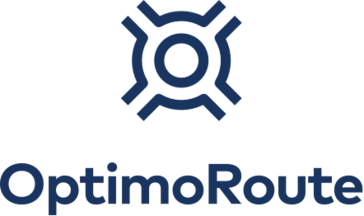 OptimoRoute is used across the globe by companies of all sizes, from small family-owned businesses to $1B+ global logistics players managing thousands of vehicles and drivers. With the OptimoRoute web application businesses can: * Automate route and schedule planning and optimization * Improve service levels and customer satisfaction with narrow time windows and accurate ETAs * Account for driver/technician skills, working times, overtime and lunch breaks * Account for vehicle capacity limits (like weight and volume) and different vehicle types * Balance workload by hours per driver/technician or number of orders per driver/technician * Modify routes on the fly and dispatch the changes to the drivers * Plan overnight or multi-day routes * Manage pickup and deliveries * Get concise reports automatically generated form route data * Delight customers with accurate customer notifications about their order Drivers and technicians use our mobile app to have up-to-the-minute order information, map, schedule and navigation in one place. Businesses can track drivers using the app during their route and receive instant order status updates. Analytics generates concise reports from route data for review each day and over time. WorkWave Route Manager's route planning and GPS tracking solution helps you work smarter and makes it easy to provide dependable delivery service. 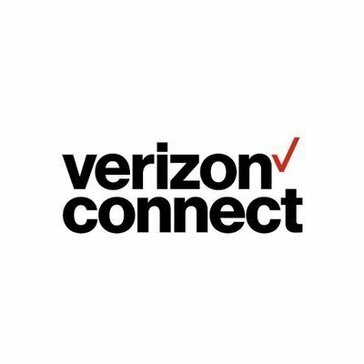 Get started with smart route technology that drives 30% operational efficiency from day one. The routing, mileage and mapping software that the transportation and logistics industry depends on to succeed. Whether you are a businessperson visiting customers, or a trucking company with a large fleet that needs optimized routing in a new city, you should use a route planning system that lets you optimize your activities to save time and money. Route4MeTM begins with the simple idea that there exists a need for a route planning and mapping system that lets people find the most efficient route not just between points A and B, but between points A, B, C, D, and… Z.
MyRouteOnline is a web-based route planner that allows you to import your address list, plan the best routes and get route planner driving directions, and export your routes to GPS or mobile and get a live map with all destinations. TransCAD is used to model transport networks and travel demand, to analyse expected traffic flows, to plan public transport services and to develop advanced transport strategies and solutions. RouteXL is a road route planner for multiple destinations. RouteXL finds the best multi-stop route for deliveries, pickups and services. LogiNext Mile provides delivery route optimisation through geo-location and tracking automation. It also outlines the optimal usage of the resource capacity to reduce its cost up to 10%. The overall travelling distance and time can be reduced which would optimise company resources. Logistyx has implemented many fully automated transportation execution systems, or “black box” shipping solutions for companies looking for a completely seamless solution that integrates their multi-carrier shipping software with warehouse management, order management, enterprise resource management or transportation management systems. The Roadnet Anywhere Platform combines the best fleet management capabilities — routing, dispatching, telematics, proof of delivery, and analytics in order to accomplish the perfect execution of a delivery. Roadnet Anywhere encompasses traditional daily routing and dispatching tools, but also incorporates real-time and historical data elements as well as telematics and domain-specific analytics to provide 360 degrees of data on every element of a delivery, service, or sales call. Routific has developed a route optimization Application Programming Interface (API) adopted by businesses around the world to plan more efficient transportation routes. The benefits of route optimization are clear, with Routific’s users reporting savings of up to 37% in operating costs, while greatly shortening an arduous planning process. RoutingBox is a transportation dispatch software that features cloud-based NEMT dispatching, electronic billing, brokerage imports, driver app, e-signatures, and A/R. Abivin vRoute is a route optimization software that is designed to operate businesses more efficiently, manage fleets in real-time and save logistics costs. Bluesoft360 is a route planning software that integrates route, inventory, invoice and client makes invoicing easy. bMobile Route is a mobile route accounting software for B2B, DSD, and B2C businesses. CarPal Fleet is a sophisticated SaaS platform that helps planning and routing your deliveries. With an intuitive dashboard and driver app powered by complex algorithms, our solution creates more efficiency and scalability for your business while helping you save costs. ClearDestination is a cloud-based end-to-end delivery software solution that breaks down the silos between manufacturers, retailers and carriers. Driv.in is a SaaS transportation management solution that generates an optimized delivery plan, provides proactive monitoring and collecting indicators that help improve the level of service that companies offer their customers, providing real-time information on the execution of all their deliveries. Save on fuel and labor costs and improve on business profitability with optimized routes. Planning your routes manually is so yesteryear. Let us do it for you with just the click of a button. Stretch your time – complete more jobs in a single day with the same amount of resources. Tailor to real-world constraints such as Time Windows, Rush Hours, Depots, Capacity, etc. Gain the unfair advantage by equipping your business with technology from the future. Natural cluster-based routes means customers will receive their orders when they expect it. Software designed to easily optimize routing for one or many resources with the most robust feature set available from any vendor. 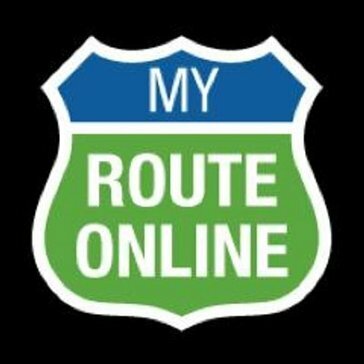 Smart Route Planner for all your Routing Needs. Maximize your resources by delivering the fastest and shortest route possible. our specialist in scheduling, route planning, workforce management and mobile solutions. FLS develops mobile workforce management solutions. A routing web service designed to find the best route between two or more locations based on OpenStreetMap data. 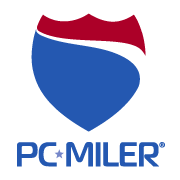 ptimizes routing to reduce transportation costs and increase driver productivity. JESI is an platform which allows businesses to track the safety of their mobile workforce; either on the road, traveling overseas or conducting work remotely. What you get with jLAN Mobile Sales Software is the most powerful and flexible route sales solution on the market. Deliver proactive customer service by using fleet analytics to monitor the status of trips against schedule, in real-time. Logistics, route planning, scheduling and optimization app designed for businesses on the road. Intelligent route planning and optimization software for improving delivery efficiency & reducing costs. Locus' route optimization engine provides optimal delivery routes leveraging bleeding edge technologies such as Machine Learning & Artificial Intelligence. The engine takes into account of on-ground factors (traffic, weather, road restrictions) & business constraints (SLAs). logvrp is a pioneer web and map based vehicle route planning and route optimization SaaS software. An end-to-end system to track, dispatch and automate your business. Manage your fleet and drivers with ease. Manhattan Associates' Dispatch Management system is designed to automatically recommend the optimal route, driver and vehicle based on hours of service, availability, compliance, seniority and service needs. MapAnything enables customers to design optimal territories, create optimal schedules, and map optimal routes enabling field reps to service more accounts in less time. This helps companies to maximize resources, drive productivity and revenue, and increase territory control and visibility, all while reducing expenses. MapAnything answers five questions critical for every company: 1 - How many people do we need (in the field)? 2- Where should we put them? 3 - How do I make them as productive as possible? 4 - What did they actually do? 5 - And, what did we learn? Maxoptra is designed to enable efficient decision making, in real time, within ever-changing operational environments, particularly distribution and service management. Route Planning Software Making Money Starts With The Right Plan. Omnitracs Telematics is a GPS-based, SaaS fleet management solution that provides real-time vehicle tracking, fully-compliant compliance automation, and the industry's largest suite of applications to improve fleet safety, reduce operational costs, and simplify operations. A courier solution for the Israeli market to optimize routes, coordinate recipients, dispatch routes to drivers, recipients, and more. Paradox Routing Tool is a Windows based routing and scheduling software that helps with distribution network design, territory planning, route planning, scheduling and more to manage your business needs. Our Single Depot software enables you to plan and model delivery routes for vehicles based at one location. Passport's route planning & scheduling application for work order / task scheduling, geo-spatial mapping, dispatch & tracking, and route optimization results in increased control, accurate payroll and invoicing, a more productive field service organization and an improved bottom line. The PTV Smartour route map planner supports you efficiently in your transport logistics. The fleet management software considers all necessary information around your order, so that all route planning requirements are covered. Road Control is a solution to calculate the most cost-effective way to serve customers and to reach the selected places from the center or several centers (depots, service centers) with the fleet. RouteStar Solutions is the leading QuickBooks add-on software for route sales, delivery, and medical waste collections businesses manage routes and customer pricing. Routeique is a cloud-based logistics and delivery management solution that combines a cloud-based software platform with mobile applications for iOS and Android, as well as Industrial Internet of Things (IOT) devices for vehicle tracking, asset tracking, signature capture and remote invoice printing, to manage commercial delivery business. Easy to use and yet be able to solve some of the most complex vehicle routing problems. Hi there! Can I help you find the best Route Planning solutions?